Singapore, 09 April 2019: DNV GL has been appointed as the lead researcher of the first phase of a new Singapore-based program to study the feasibility of additive manufacturing (AM), or 3D printing, in the maritime industry. In a Joint Industry Program (JIP) initiated by the Maritime and Port Authority of Singapore (MPA) DNV GL will team up with ten member companies of the Singapore Ship Association (SSA) to examine how spare parts produced by 3D printers can help the capital-intensive industry to cut costs and downtimes. To date, the challenges of marine parts inventory include not only inventory costs, low utilisation rates and parts obsolescence, but also complex supply chains and accompanying logistics costs. AM technology has the potential to revolutionise the way marine spare parts are designed, manufactured, and distributed to end users. In addition, on-site manufacturing for maintenance becomes an important application of AM. AM as an enabling technology for innovation and productivity improvements in the maritime sector is one part of Singapore’s Sea Transport Industry Transformation Map, to grow the maritime sector’s value-add by $4.5 billion and create more than 5,000 highly qualified jobs by 2025. In 2015 Singapore also saw the start-up of a National Additive Manufacturing Innovation Cluster (NAMIC) to speed up industrial adoption of AM. “We are very proud to have been selected by MPA and SSA to spearhead this important work in collaboration with major stakeholders and contribute to helping Singapore develop a vibrant AM ecosystem,” said Brice Le Gallo, Regional Manager DNV GL – Oil & Gas and Director of the Global Additive Manufacturing Centre of Excellence in Singapore which was opened by DNV GL last year. The incubator’s main aim is to push forward AM development in the offshore, marine and oil & gas sectors. 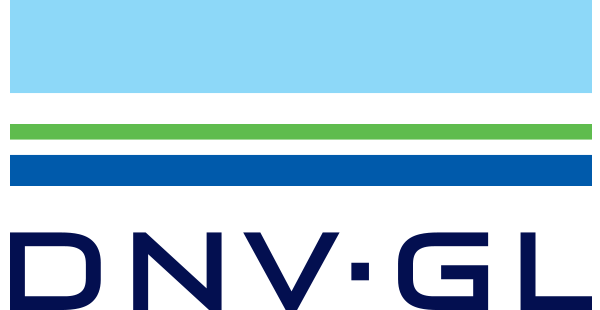 In 2018, DNV GL also released the first approval of manufacturer (AoM) scheme for additive manufacturing producers wishing to supply products that comply with the DNV GL rules and standards, following the publication of the first guideline for the use of AM in the maritime and oil & gas industries in 2017. Group photograph of JIP participants during the kick-off meeting and workshop at the DNV GL AM technology centre of excellence.